A far better option is to open a fee-free transaction account, which allows you to use overseas ATMs without paying the ridiculous charge. 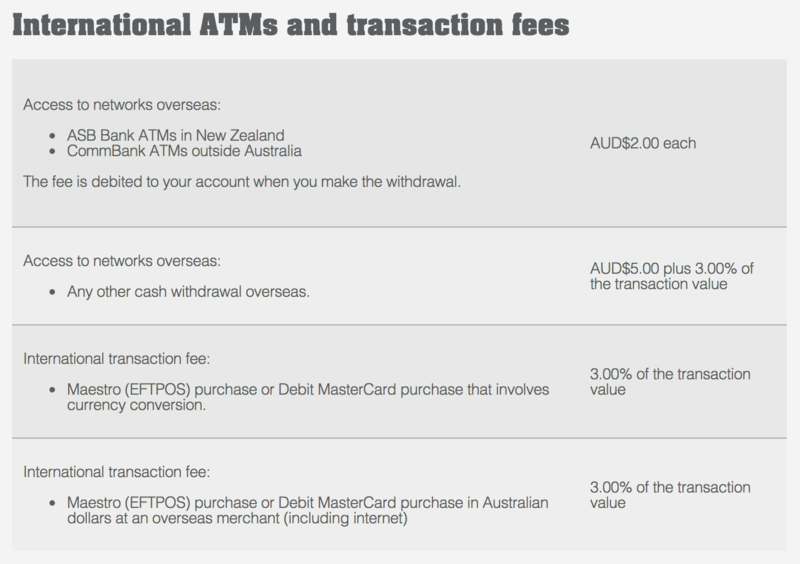 We have accounts with Citibank in Australia, which provide fee-free access to overseas ATMs. This means we can withdraw small amounts of cash without worrying about paying the fees - even when the ATM warns that it will charge €5, Citibank pays the charge on our behalf. As far as we can tell, the exchange rate is competitive, and they don't charge a monthly fee for having the account, so overall it seems like a no-brainer to open one.